As an appreciation to you, our member, today Apr, 25th 2019, you will receive free, cool and unique pregnancy toolkit that all expectant parents must have. What does my Pregnancy Toolkit Include? How can I get my FREE Pregnancy Toolkit? Why is it all FREE, is there a catch? What if you add a new product, can I still get it? With Mobile Pregnancy, have all your pregnancy information and calculations right with you on your cell phone at all times. Share the important dates of your pregnancy with your loved ones no matter how far they are from you. Mobile Pregnancy will send out a text message with your pregnancy progress to the selected recipient(s). With just a simple press of a button you can share the joy of your baby's development! With Pregnancy Desktop you can also add notes and reminders to your calendar throughout your pregnancy. Pregnancy Relaxation Music for you and your baby CD consists of seven beautiful music pieces written by professional well known musicians. It is great music to listen to while you are pregnant and after you give birth. Relaxation music is used to promote wellness, manage stress, and express feelings and emotions. It can be a great way to relax yourself when you are feeling anxious and stressed. You can also listen to it before your bedtime to help you relax and fall asleep. You can now have instant access to your updated pregnancy calendar and Baby Names database at all times no matter where you are on the web. Create unique and fun pregnancy pictures of yourself instantly online using our Pregnancy Photo Session tool. Make fun lifetime memories of yourself being pregnant in beautiful fairytale settings! You can take our baby monitor anywhere you like. 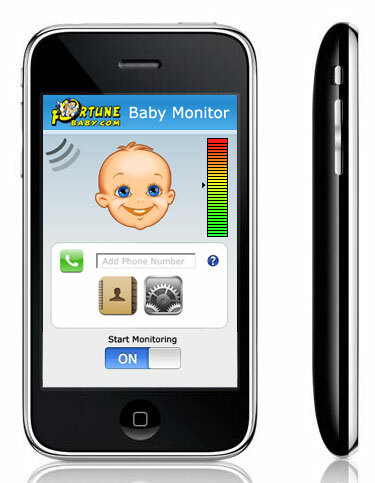 Our baby monitor, also known as a baby alarm, will allow you to monitor the sounds your baby makes. Comming soon. After you run one of our gender prediction tests, you will get access to the VIP member area where you can acquire your absolutely free pregnancy toolkit. There is no catch. The small fee received for gender prediction tests is invested back to you by constantly creating new products absolutely free for you to use and enjoy. With Fortune Baby, your membership never expires. When you become a member, you are eligible for all new products we create. The new product will be automatically added to your account, and you can start using it right away. Hi,just to let you know fortune baby said i would have a boy & i went for my 20 week scan yesterday & its boy!!!!!!!!!!! I just wanted to let you know that your gender prediction was correct we had a 4-D ultrasound done a few weeks ago and it is a boy. thanks.